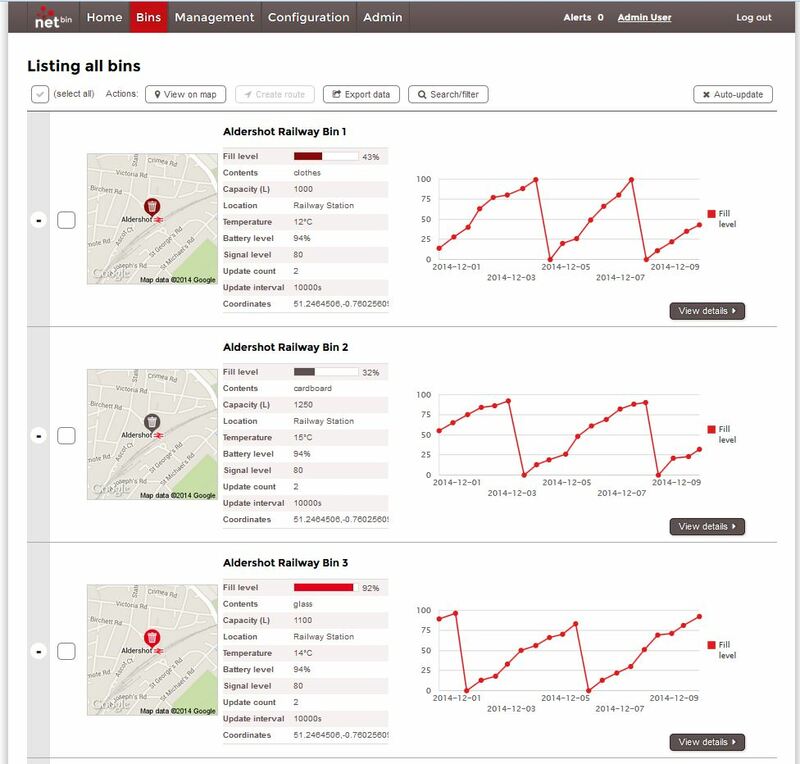 Our web based application is the centre for your decision making, route creation and analysis. 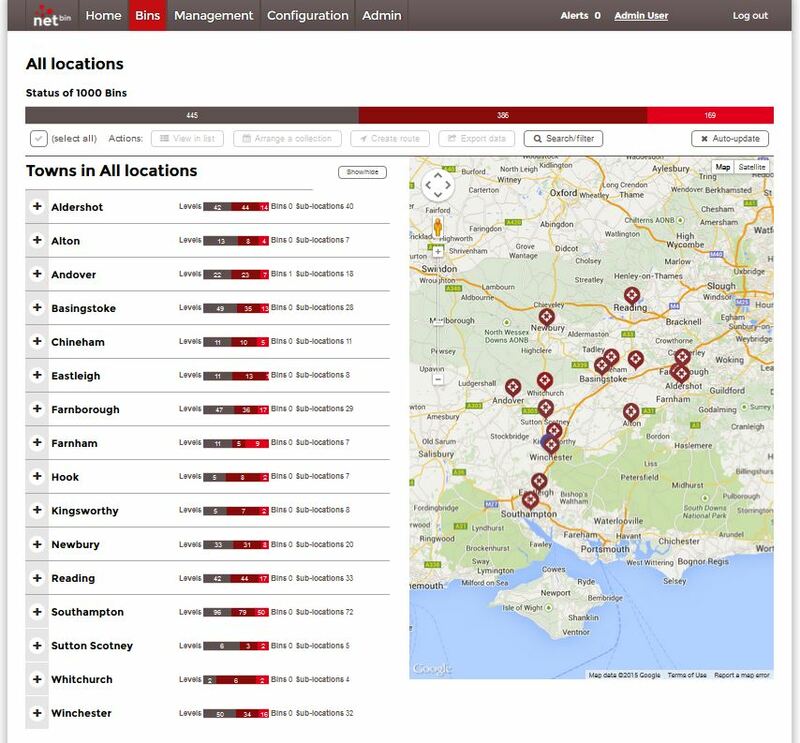 With multiple secure user access, your team can control and manage different areas of the city or region simultaneously. The system is incredibly flexible allowing you to configure important thresholds to your operating parameters. Here are some of the features you can utilise while using the netBin HUB. Security has been a key consideration in the design of netBin as a whole with SSL access to the user interface and all communications between the nPod and the cloud encrypted. 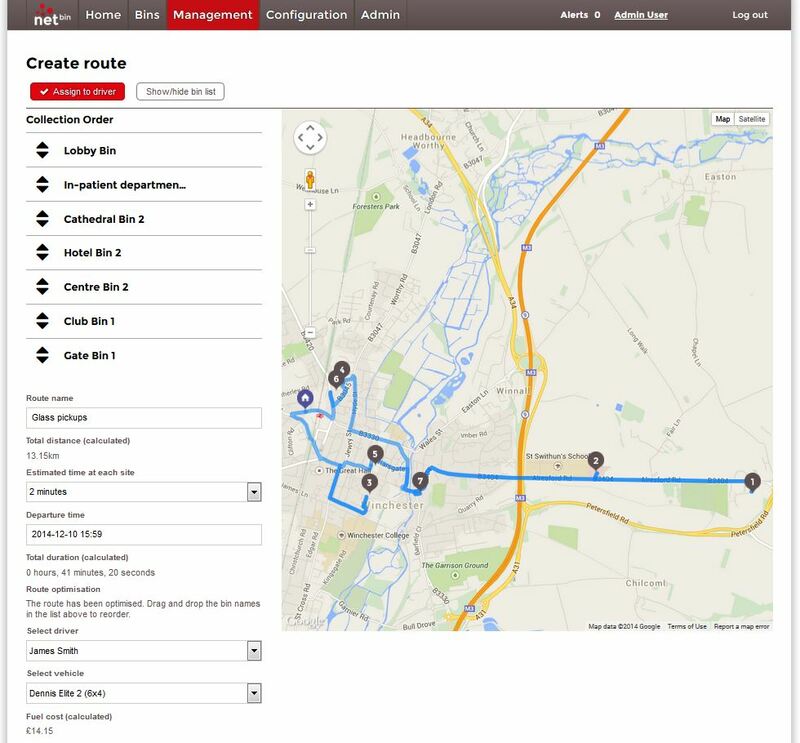 Route planning is an area where plenty of time and money can be saved. 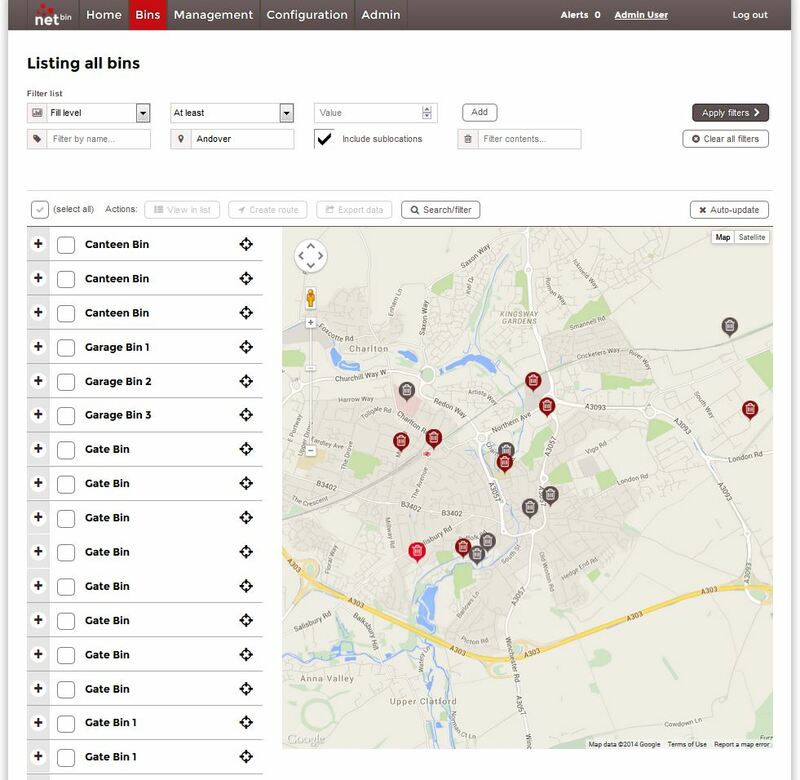 The user friendly route planning process allows you to select the correct bins, automatically optimise the order and estimate trip duration, costs and distance. Routes can then be scheduled and assigned to drivers for completion. 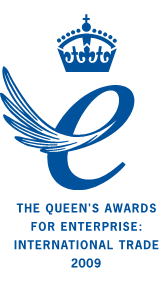 To perform a great service you need to respond quickly to all eventualities. 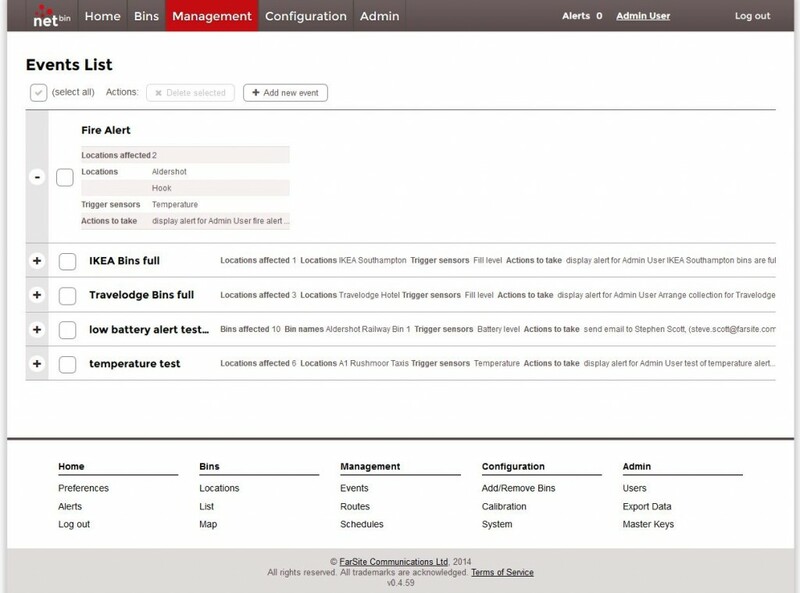 With netBin HUB you can design events to pick up unexpected behaviour in the bin network triggering alerts on fill level, temperature, tilt angle, signal level and battery level. It can then send an email, SMS (option) or flag up an Alert within netBin HUB. 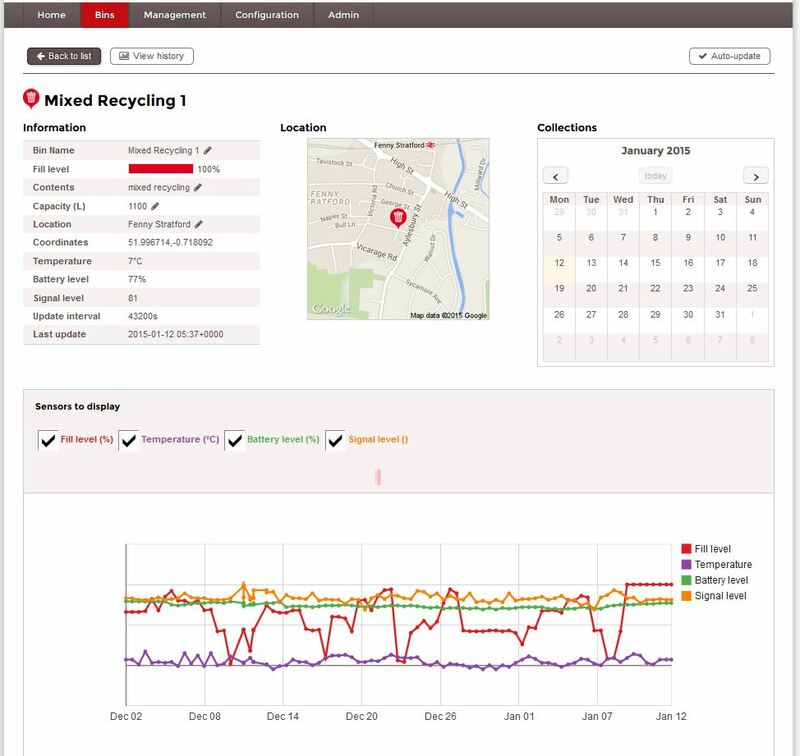 Review how bin fill levels have changed over time. 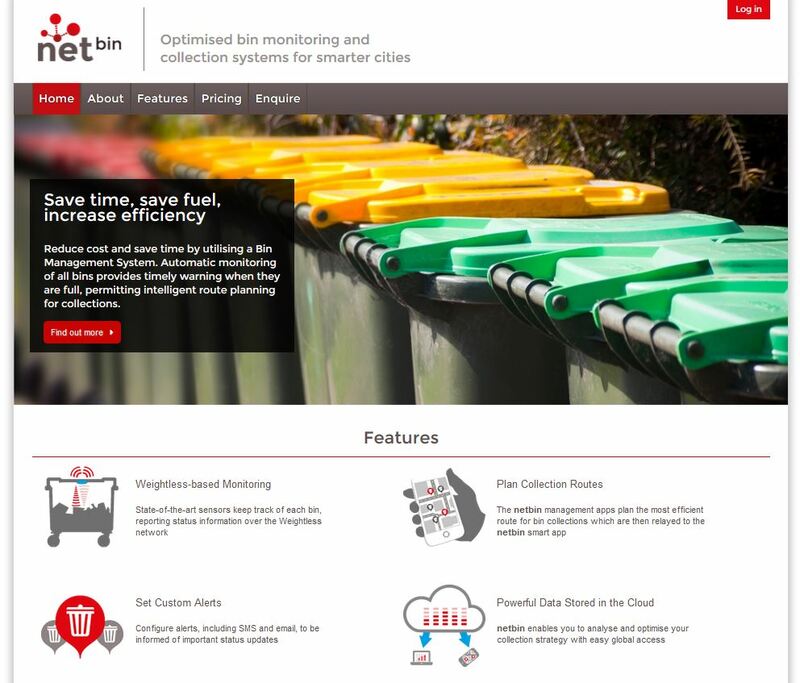 Keep historical records of bin usage, servicing, alerts and much more to make educated decisions on routing, bin capacity, bin distribution and future infrastructure investments. Simply designed and easy to pickup the netBin HUB allows in depth monitoring without costly training days.